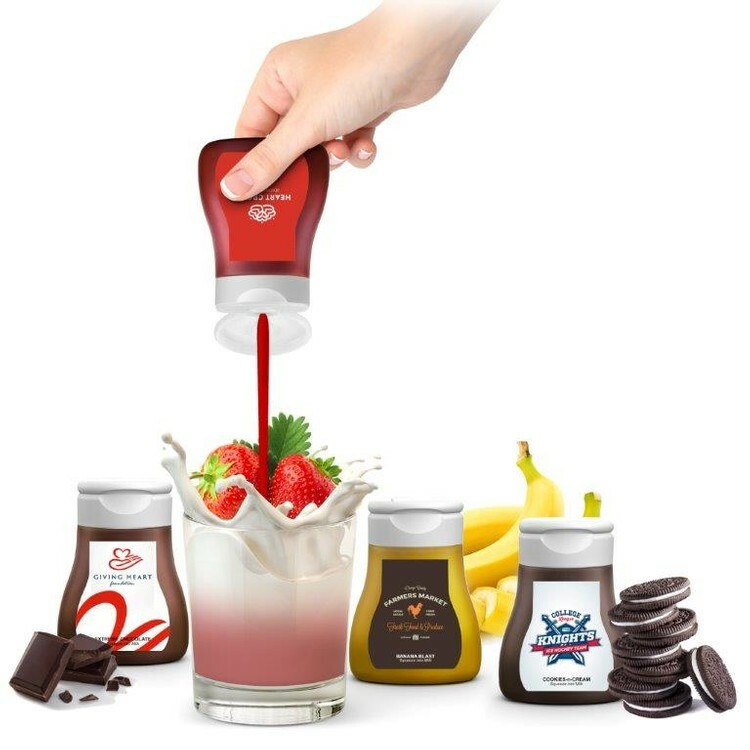 With our flavor enhancers you have a great way to add a flavor twist to your milk or milk shakes. They are sugar-free, zero calories and naturally flavored. You can control how strong you like it with just a squeeze. Two deliciously tempting flavors to choose from - Chocolate, or Strawberry. Each bottle has an average of 24 servings and is shrink wrapped for tamper resistance. Comes in a clear bottle with a white snap-tight lid and a spill resistant valve. Imprint Size: 1-1/2" x 1"